It is with deep sadness that the family of William J. Gould announce his sudden passing on May 29th, 2018 at his home in Sundre, Alberta at the age of 79 years. Phyllis, his loving wife, was by his side as he passed. 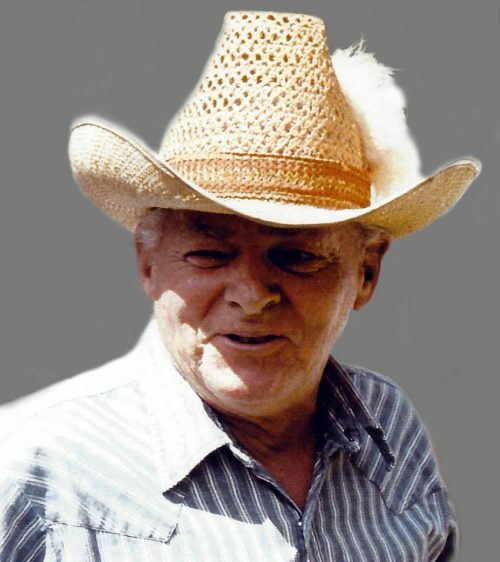 William, aka Bill, worked in his earlier years for the pipeline as a field office manager however, he was fortunate to be able to retire and pursue his true passion as a rancher. He became involved with cutting horses and eventually ran his own cattle. He had a deep passion and love for all animals and a connection with animals that was truly amazing. Being with animals filled his soul with happiness and joy. He loved his home out in Sundre, enjoyed the outdoors, and was fond of woodworking and playing his guitar in his spare time. He was a real cowboy at heart! Bill also embraced his indigenous heritage and was a proud member of the Métis Nation of Alberta. Bill had a rough exterior however, he did have a big heart. For those that knew him well, they saw this side of him which he didn’t always show. His headstrong personality is what kept him going and his will to live was strong right until the very end. Bill will be remembered and missed by his loving wife, Phyllis, who stood by and cared for him during his lifetime; his daughter’s Kelly and Kim; his son Dean; son-in-law Gavin; grandchildren Kaitlyn, Mitchell and Danielle and his sister Jeannie, who has been a tremendous support. The family would like to thank EMS for their valiant efforts, Victim’s services, and Flo at the Cochrane Country Funeral Home. We would also like to send out a special thank you to Rodney and his wife Amy, good friends of Phyllis and Bill, who have been a support to Mom & Dad over the years. We appreciate all you’ve done. Adios Dad! We love and miss you. It broke my heart the day you left us. It took us all by surprise. I will always remember you. I hope you have found peace. Happy trails Dad! A sad, sad day my dear Father in Law passed away. Bill, I will miss our long chats over morning coffee, your old stories and your really bad jokes with those crappy punchlines that only we would laugh at. Love you and miss you.